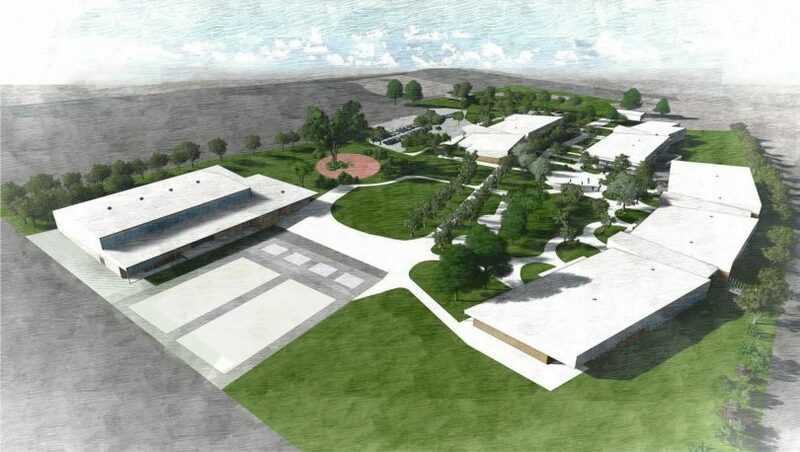 A sketch of the new North Gungahlin primary school. All images supplied. Construction has begun on the new North Gungahlin primary school in Taylor with the first students to start school there at the beginning of the 2019 school year. 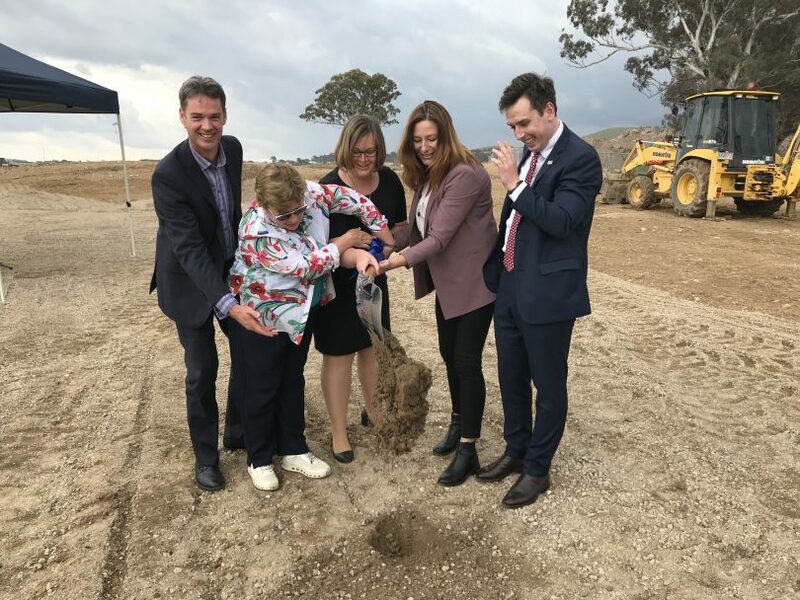 ACT Education Minister Yvette Berry turned the first sod on the school site last Friday, along with releasing sketches of what the new school will look like. The new school is projected to cost $32.069 million, with funding allocated from the 2015-16 and 2017-18 ACT Budgets. It will cater to students from preschool to Year 6 from Taylor, Moncrieff and Jacka – the first suburbs being developed as part of the North Gungahlin development. ACT Education Minister Yvette Berry (second from the right) gets some help in turning the first sod for the construction of North Gungahlin primary school. Image supplied. “This new modern school facility will cater for 88 preschool and 600 primary school students when it opens for Term 1 2019, providing capacity for quality public education in this high-growth region,” Ms Berry said. Ms Berry said the new school will serve as a central hub for the local communities. 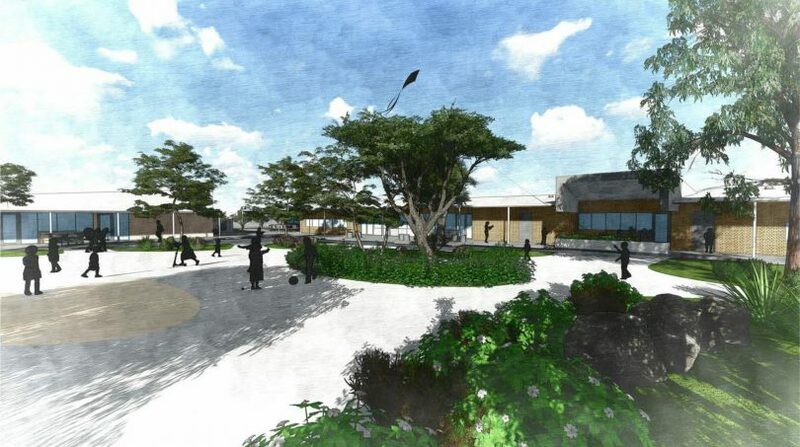 “The school will be the first community facility provided in Taylor, including two playing fields, and the wider community will be able to hire the school hall, oval and meeting rooms for a range of activities and gatherings,” she said. “The new school will also include a resource centre, canteen, out-of-hours school care facilities, and great outdoor learning and play areas. 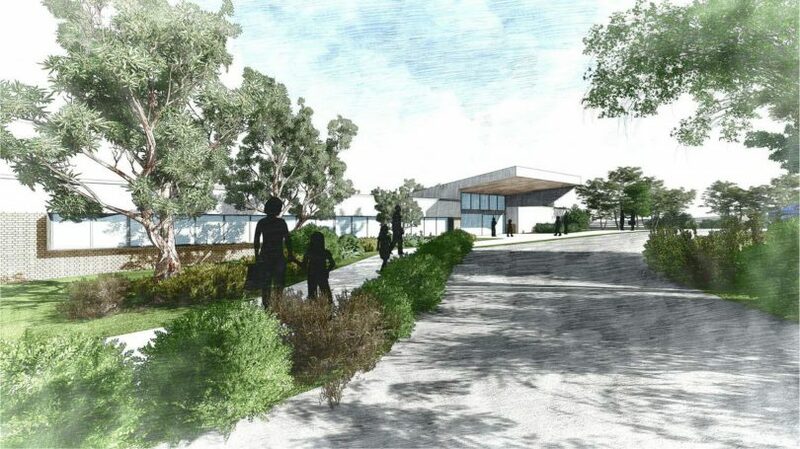 Do you think this new school will suit the needs of the North Gungahlin communities? Let us know your thoughts by commenting below. Looking at the ACT Government’s website, there will also be construction of a high school in North Gungahlin in the future. Can’t get it all done at once. This is a positive start, but need to be proactive instead of reactive with this kind of planning. What about once all of the these kids hit high school and college – where are they meant to go? Amaroo is already bursting at the seams even with the new classrooms being built, from kids feeding in from multiple schools in Year 7. Bit of a strange question at the end of the article. Will it suit the needs who knows main thing is that area needs a school. And surprised to see Casey not on the list of feeder suburbs. Half of Casey is closer than Jacka and Jacka is closer to both Bonner and Amaroo schools and Casey feeds Gold Creek which is fine for the LDA developed part closer to the main shops.